My friend Erin found some popsicle fitness sticks on an auction site on Facebook and tagged me in them. 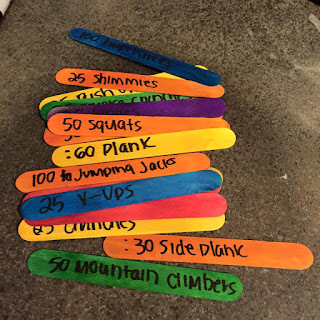 I thought the idea was brilliant but I did not bid on them - mostly because I wasn't sure which exercises were on them and partly because I knew this was on creatively crafty challenge that I could make myself without any incident. 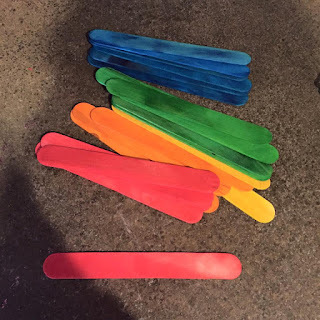 My original plan was to buy the plain wooden popsicle sticks and then paint them pretty colours but the dollar store near my house had coloured ones for the same price and that was just so much easier even if there was no pink. 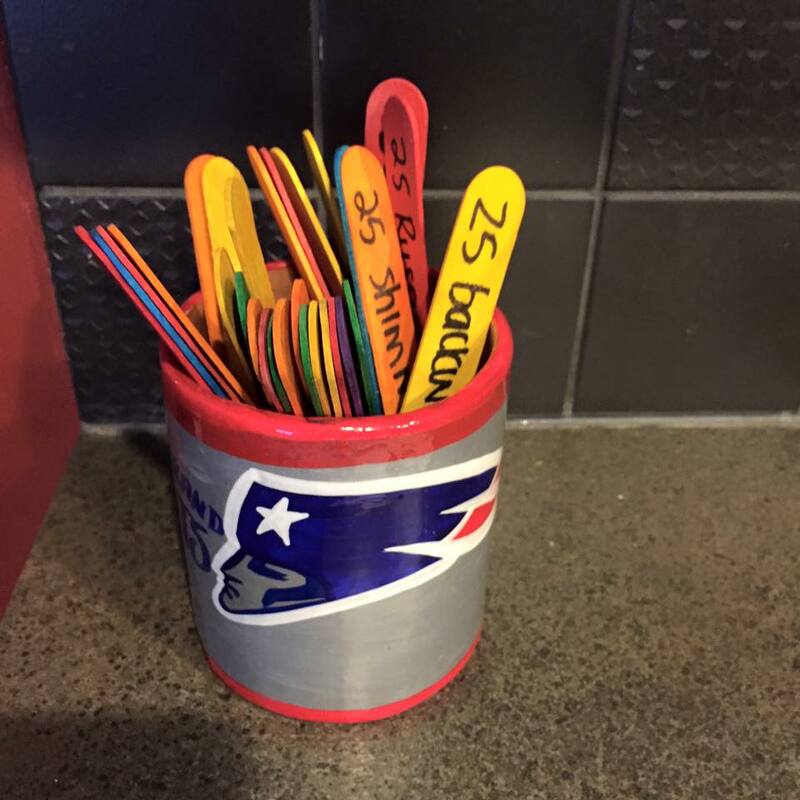 Then I stood at my kitchen counter with new popsicle sticks and my trusted sharpie and went to work. I put some of my favourites and a lot of not my favourites and did it in numbers from 10 reps to 100 reps. 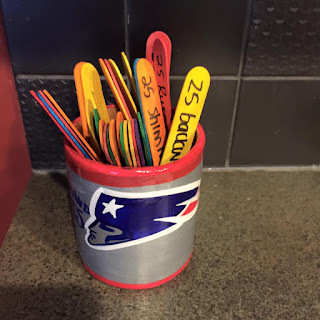 I then put them all in my Patriots mug from Mexico and whenever I have 5 minutes I pull out anywhere from 1 - 5 popsicle sticks and do the activities on them. I do them in the morning before I take the girls to school, before I pick each one up, while I am waiting for supper to finish. 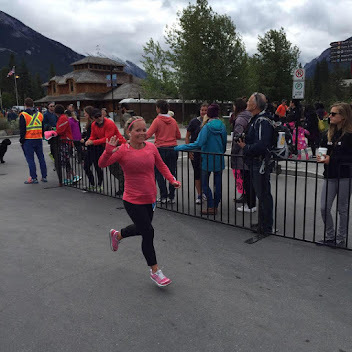 It's been really fun to have in my kitchen to encourage me to do some extra activity. And the girls love doing it too when they are home. I was worried that perhaps the attire I was wearing would hinder my level of participation but lets be real, it's not often I am wearing jeans hahaha but even in a pair of jeans i can a few of the exercises in! Thanks Erin for the great idea! !